Learn the fundamental steps for shaving while bathing in either a shower or a bath to ensure your best results and avoid nicks and skin irritation. Is shaving in a bath or a shower better? Whether you shave in the shower or the bath comes down to personal preference. What’s more important is how you shave. Learn shaving tips for each individual area of the body to ensure the best results and reduce irritation. And, if you need a new razor for your next shave, discover how you can build your own. How should I shave in the shower? Shaving in the shower can be quick, convenient, safe and effective by following the right steps. 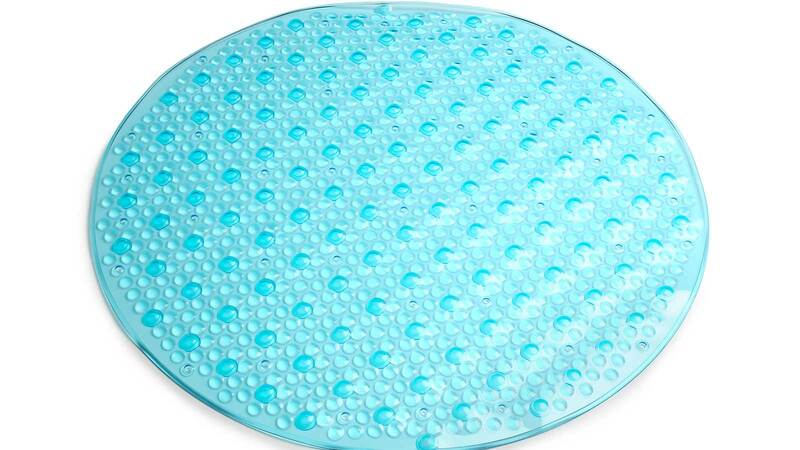 The shower floor can be slippery, so make sure to have a strong shower mat or adhesive treads in place when you shave to avoid accidental cuts and nicks from slipping. Exfoliating with a gentle scrub or loofah will help prep your skin for the shaving process by removing any dead skin cells and protect against skin irritation and ingrown hairs. If you want to shave your legs in the shower but can’t find a comfortable position, try a shower stool or bench. Not only will you be more comfortable, but using a stool or bench can provide a safer experience by bringing you closer to your legs as you shave. Give your skin enough time, three to five minutes, to hydrate in the shower to avoid irritation. When shaving in the shower, use a razor with an easy-to-grip handle for better control. You also want to use sharp razor blades to prevent skin irritation, nicks and cuts. Shaving gel preserves moisture, helps the razor glide across your skin and shows where you have shaved already to avoid re-shaving over an area and causing irritation. Shave in light, steady strokes in the direction of the hair growth, and if you need a closer shave, reapply shave gel and go against the grain. 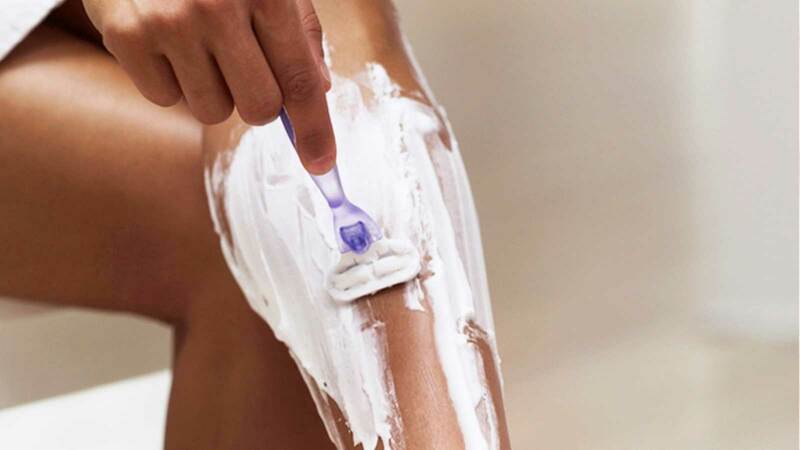 Once you’re finished shaving be careful when stepping out of the shower, pat your skin dry and apply moisturizer. How should I shave in the bath? If you prefer a bath over a shower, protect your skin while shaving by following a few key steps. Although you might think you are more secure in a bath than the shower, you can still slip and slide. Be sure to have a bathmat or adhesive treads in place so you can be safe and secure while you shave and safeguard your skin from accidental nicks and cuts. Just like before shaving in the shower, exfoliation is a great way to prepare your skin. Use a loofah or gentle scrub to remove any dead skin cells before you shave. Water that’s too hot can irritate and dry out your skin. 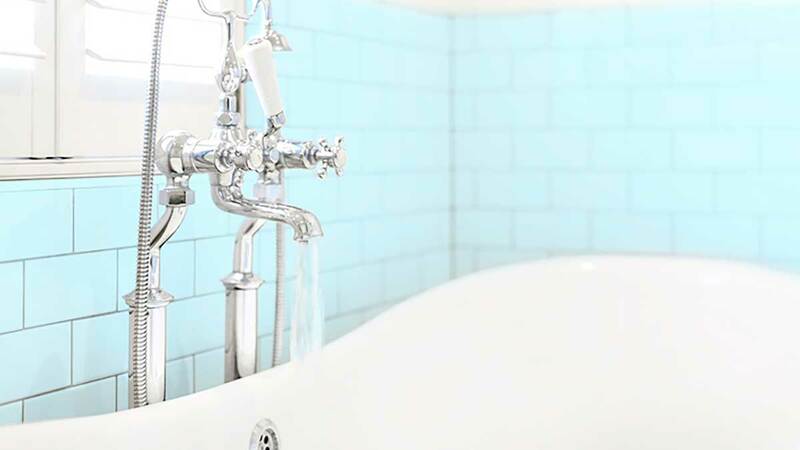 When shaving in the bath, you want the water to be warm to cool to prevent irritation. Although most of your skin is under water, make sure all the areas you plan to shave soak for about three minutes in the bath or apply a warm, wet wash cloth to your skin. Whether you shave in the bath, a shower or under running water, always use a sharp razor. Dull razor blades increase chances of razor burn, ingrown hairs and skin irritation, so replace your blade often. Your skin may soak in water while taking a bath, but you still need shaving cream to preserve moisture. And be sure to reapply shave gel if it washes off before you shave. You may have to hold your leg up or prop it on the side of the tub to shave in the bath, so shave in slow, steady strokes to avoid nicks and cuts if you accidently slip or move. Once finished, carefully step out of the tub, pat the skin dry and apply moisturizer. Want to know whether shaving in a bath or shower works better for you? Learn key steps for both to ensure the best results and prevent skin irritation.